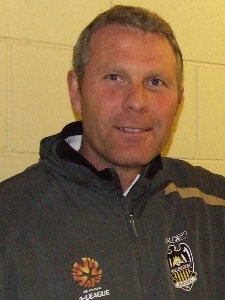 Former New Zealand national coach Ricki Herbert has been named as manager of North East United FC, according to club social media. Herbert, who led New Zealand through their 2010 South Africa campaign with gutsy draws against Paraguay and Italy, will lead the club through its inaugural season in the Indian Super League competition. “The Indian Super League presents a great opportunity and challenge and with the football crazy NorthEast fans backing us all the way, we’ll be putting our best foot forward”, said Herbert through a club statement. Herbert, 53, will find himself coaching the likes of Spanish World Cup winner Joan Capdevila, who was recently announced as NorthEast United’s marquee player. NorthEast United also announced Lajong FC’s head coach Thangboi Singto as assistant manager of the club.